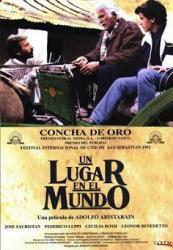 Drama, Argentina//Uruguay, 1992, 120 min. Synopsis Mario and Ana, in voluntary exile from Buenos Aires, live in a remote Argentine valley with their 12-year-old son Ernesto. Mario runs a school and a wool cooperative; Ana, a doctor, heads a clinic with Nelda, a progressive nun. Into this idealistic family comes Hans, a jaded Spanish geological engineer -- surveying the land for the local patron, to see if it can be dammed for hydro-electric power, which would drive the peasants from the land into the cities.